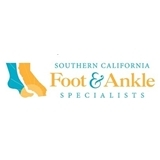 Southern California Foot & Ankle Specialists (Mission Viejo) - Book Appointment Online! LOVED this doctor experience. Dr. Spencer was thorough with a great bedside manner and his staff is STELLAR. Highly recommend.